Attic Threads & Quilts: Modern Quilting? WOW! I can't believe I haven't blogged since July! I really have been busy.. Two new grandsons! My Great-grandson is almost a year old. And a few things I can't blog about yet. Teaser 1 - in the future, you will see some of my quilting in print... done deal.... quilting completed! 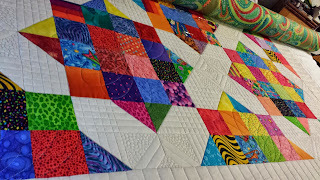 Teaser 2 - I am collaborating with my good friend Kevin (blog - Kevin the Quilter) on an amazing quilt. Can't wait to get my hands on it. Even BeBe is excited. 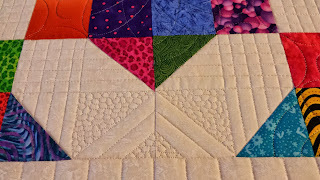 Teaser 3 - I am collaborating with my good friend Lynn on a quilt. 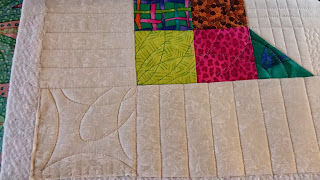 I am currently in the design stage and can't wait to start quilting. But, what I can show you is the quilt I just took off BeBe. I've been asked how I figure out what design to put on a quilt, so here's some of the process I go thru. 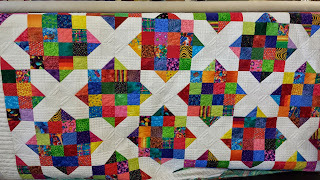 I usually hang the quilt top in sight so I can see it while finishing up the prior quilt. After it's in BeBe, I sometimes lay a plastic sheet over the top and draw out designs I might like. Sometimes good, sometimes so-so. Wheww.. lots of pebbles, lots of lines and then some spirals. Piano Key borders. And Finally, the finished quilt. 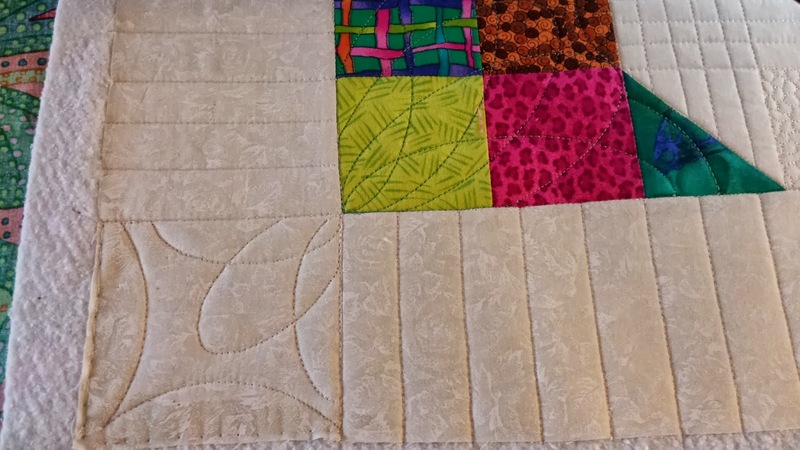 This quilt was so much fun to do. My version of Modern Quilting! 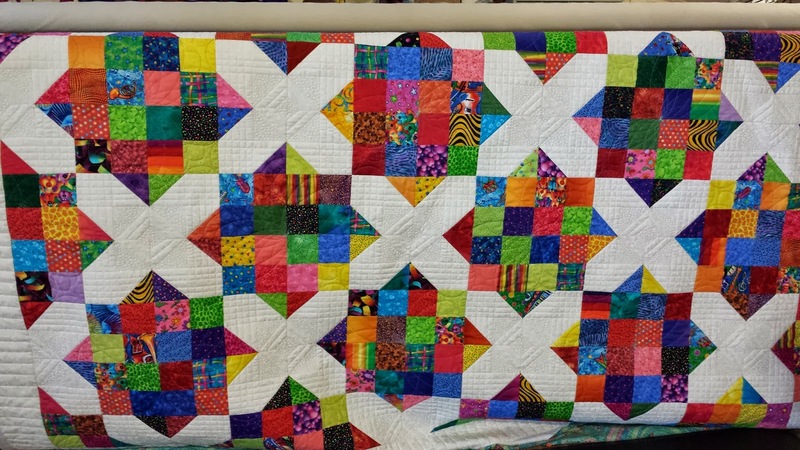 I hope you like this quilt as much as I do. And I promise to blog more often, if the grandkids allow! 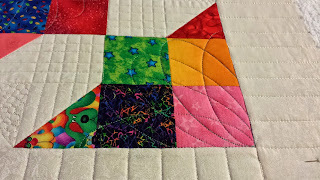 Thanks for visiting my blog, Happy Quilting! ANN! 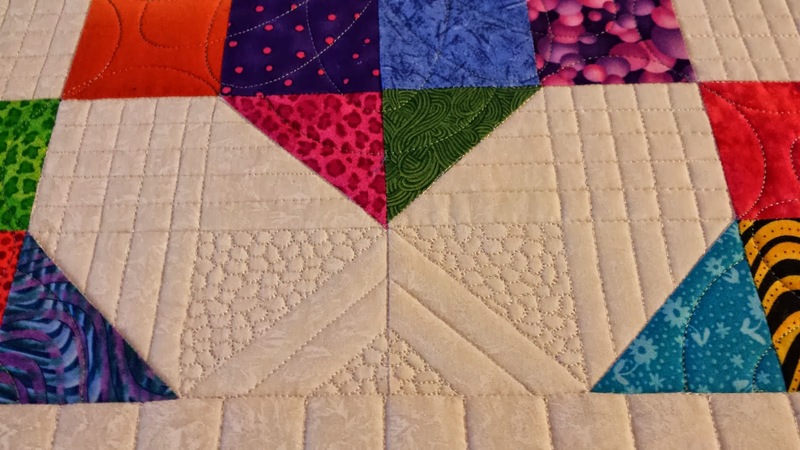 I LOVE your post about your designing process when quilting! 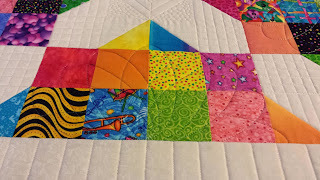 And, this quilt is so awesome! All hail the quilting goddess! 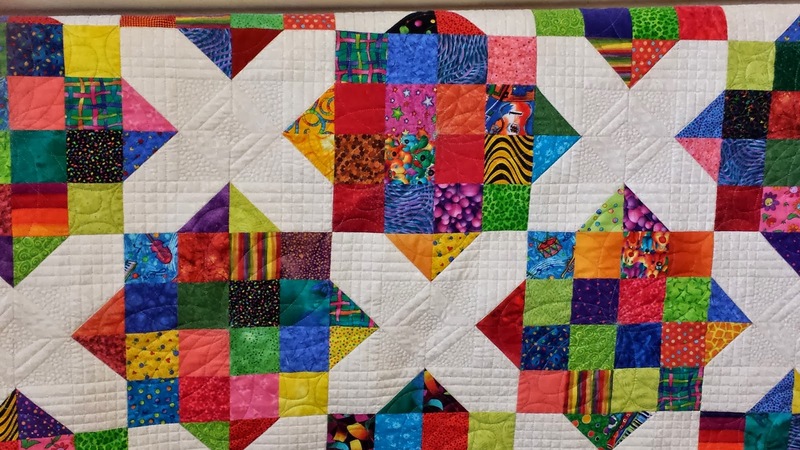 Beautiful quilt and quilting! I know about grandkids keeping you busy! You may not have posted since July, but it was well worth the wait! I love what you did with that scrap quilt. I also appreciate that you shared your design process in deciding what works for you and what doesn't. 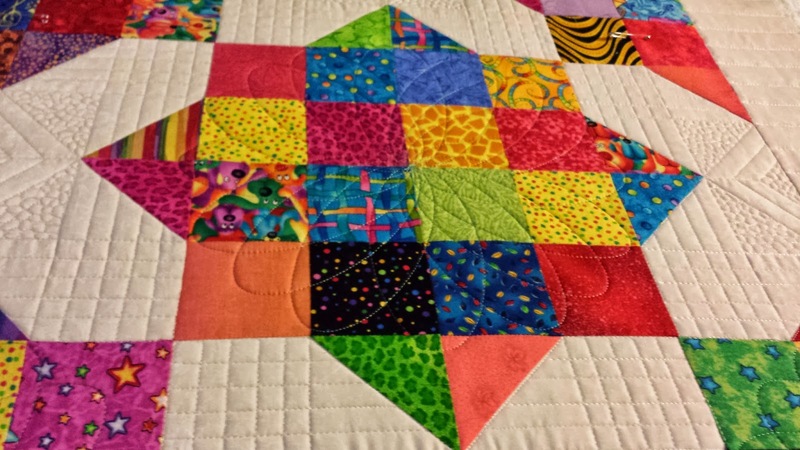 You took a simple quilt and turned it into a super quilt. Thanks for sharing.